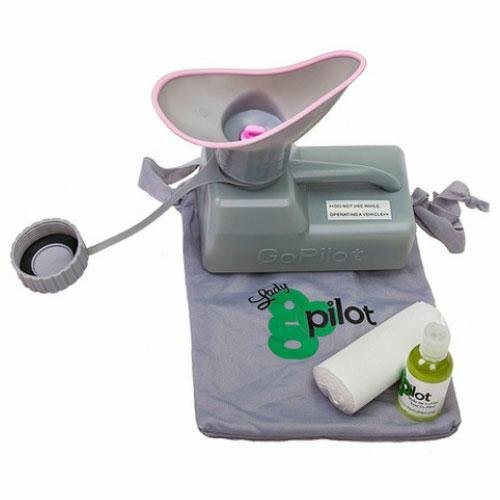 GoPilot Portable Urinal- Female Package by Lady GoPilot at Bijc. MPN: 00002. Hurry! Limited time offer. Offer valid only while supplies last. Due to the nature of this product, no returns are accepted Please read the description carefully and message us for questions before purchasing! The female adapter was designed by a board certified OB&GYN! The female adapter can be attached to the flexible tube OR to the quart sized tank. Can be used from age 2-102! Includes a discreet toiletry bag to hold your sanitizer and toilet tissue if desired! The female adapter comes with a pink plug to guard against spillage or odor escaping. If you have any questions about this product by Lady GoPilot, contact us by completing and submitting the form below. If you are looking for a specif part number, please include it with your message.